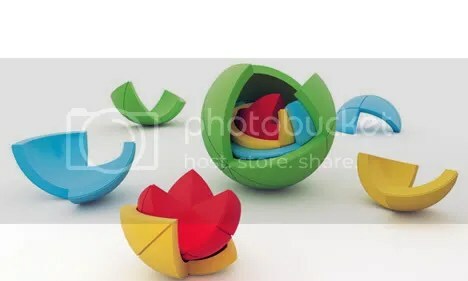 The OBLO by Marko Pavlovic is a 3D puzzle for kids composed of spherical elements of various sizes, shapes and colors. The pieces must be twisted against a central axis in order to be disassembled or assembled. A Rubik’s Cube for kids of sorts.